Great purchase experience. Definitely will order from ServerMonkey in the future! I just wanted to commend you and your team. The server was here this morning at 9:00 AM and is already being provisioned. Way to go ServerMonkey! Your network is slow. Most likely that’s why you’re on this page. Programs are slow to load, systems lag frustratingly. The problem can likely be traced to your server, and the solution is a fairly easy one. In most cases a simple and cost efficient memory upgrade can breathe new life into your Dell PowerEdge T430 server. The memory of the Dell PowerEdge T430 is expandable up to 384GB in a dual processor configuration. Below we have compiled a chart of memory kits that are commonly used for the Dell PowerEdge T430. 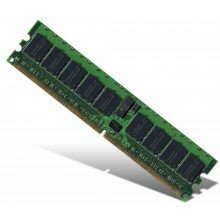 Distribute the memory capacity between all processors as evenly as possible. Never mix Unbuffered and Registered PC4 DIMMs. For advanced ECC mode configurations, DIMMs may be installed individually. Advanced ECC mode provides the greatest memory capacity, while providing up to 4-bit error correction. If you are looking to upgrade your Dell PowerEdge T430, ServerMonkey has the right option for you. Whether you are looking for a small memory upgrade of 16GB or the maximum of 384GB, we've got you covered. Plus, our 30 day warranty guarantees you a quality product at a low price. ServerMonkey is not responsible if this speed and DIMM type is not compatible with your current configuration. Please verify if your server configuration will support this PC4-17000R memory.